RICHARD NOWAK FINE ART: Last Friday night I had 3 students at my Michaels Acrylic Painting Workshop in Hadley Michaels. 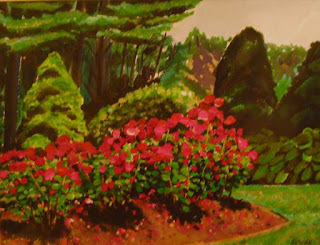 Two students 6 and 9 years old with their mothers painted a version of my Stanley Park Roses painting pictured below. Nolan and a new student Louie did great! Last Friday night I had 3 students at my Michaels Acrylic Painting Workshop in Hadley Michaels. Two students 6 and 9 years old with their mothers painted a version of my Stanley Park Roses painting pictured below. Nolan and a new student Louie did great!